Items generally ship within 2 business days. Due to the custom nature of our products and high demand some items can have longer lead times. 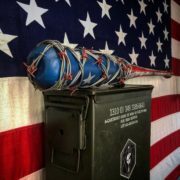 Lucille and custom bats can take up to 4 weeks. Shipping method is USPS Priority Mail. We want our customers to be 100% satisfied with their purchase. If you are not entirely satisfied with your purchase, we're here to help. Authorizations and instructions for the return of any product must be obtained before returning any product for any reason. The product must be returned with complete identification, freight prepaid and in accordance with the company’s most current return policies and procedures or it will not be accepted. For a copy of the most current returns policies and procedures call Praetorian Ventures, LLC 714-693-7076. All items returned for credit are subject to inspection upon receipt and a restocking charge. In no event will the company be responsible for any product returned without proper authorization.To be eligible for a return, your item must be unused and in the same condition that you received it. If you would like to exchange your product for a like item we are more than happy to accommodate you on that request. *Excludes Engaved, Custom, Drone and TASER products, all warranties are provided by the original manufacture. Praetorian Ventures, LLC takes pride in the custom nature of our products. Because many of our items are handmade, size, texture, color and design may vary from the images depicted on our website and social media campaigns. We do our best to replicate them as close to the images but they can vary. If products become unavailble we will do our best to replace it with an item as close to the original as possible. Age Declaration & Release of Liability. Customer acknoweldges that they are at least 18 years of age. Due to the nature of Praetorian Ventures products, customer assumes all liability in the use of our products. Customer releases Praetorian Ventures, LLC from any and all liability as a result of our products being used. 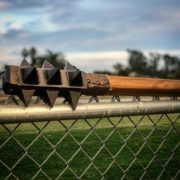 Customer acknowledges that certain products are replica weapons and not intented for use other than display purposes, this includes but is not limited to, Lucille, Axle, and all battle bat weapons. 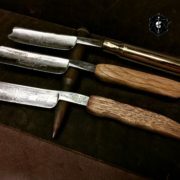 Customer acknowldeges that some of Praetorian Venures, LLC products can be dangerous and can cause injury, extreme caution needs to be exercised when handling products. Praetorian Ventures, LLC does not condone nor promote any act of violence or criminal activity, any reference made directly or indirectly, herien is for satirical or as marketing content for promotional purposes. Customer agrees to follow all Federal, State and local laws as they pertain to any of Praetorian Ventures, LLC products and thier use.